Comes with battery operated, light-up wings. 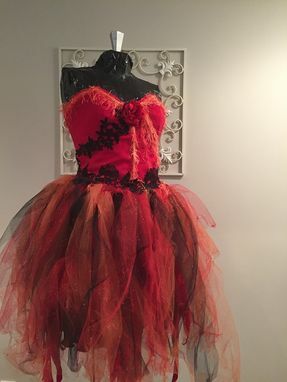 Can be custom ordered for any measurements, fabrics and colors for an additional fee. Includes matching tail, fingerless gloves, and head-piece. Great for Halloween parties and Witches Ball.